Vacation rental condominium. Sleeps 8, 2 bedrooms, 2.5 bathrooms. No pets allowed. You are going to love this beautiful vacation rental. The owner has done a great job of upgrading and beautifying the beach home. There’s a new 55” HDTV in the living room PLUS, she’s added two 32” TVs in the bunk room, one for each bed so the kids can choose their own programming. Just awesome. Plus there’s NEW tile in the living room, dining room and kitchen! But that’s just the beginning. 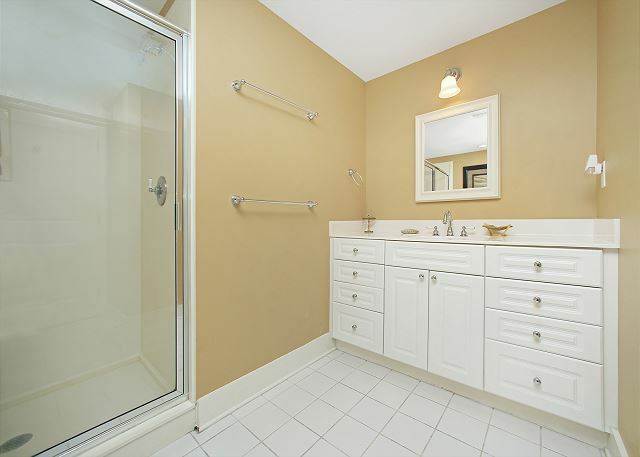 This condo is so roomy you can bring up to 8 people. The two bedrooms each have king size beds and there’s a queen sleeper as well as twin bunks in a kid friendly bunk room. This 2nd floor, 2BR/2BA with Bunk unit is outfitted with new upscale furnishings. 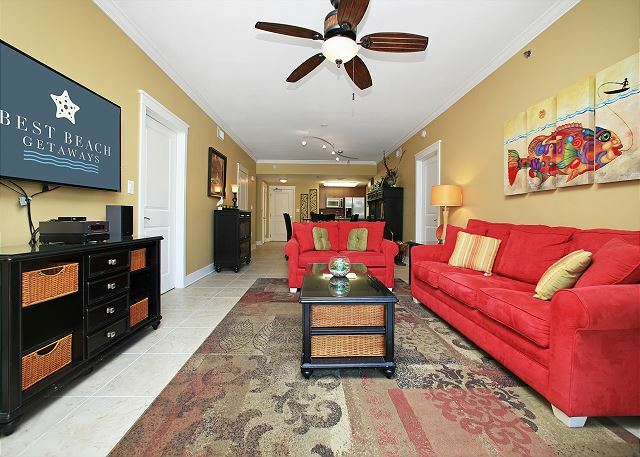 The condo features 9 ft. ceilings, crown molding, Washer/Dryer, Wi-Fi, and all the extras that you would want. 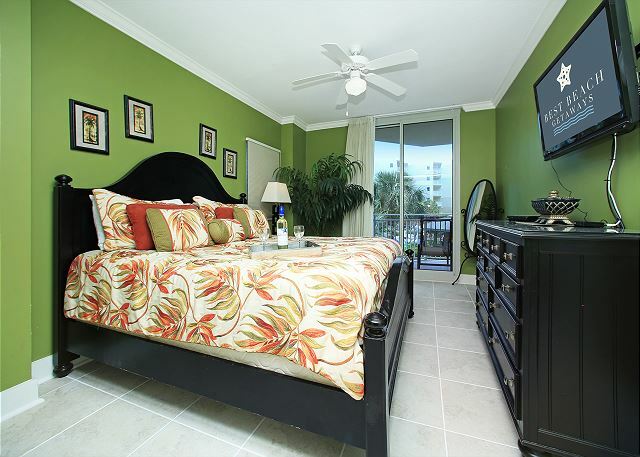 The large Master Bedroom and 2nd Bedroom are on the gulf side of the condo and have access to the huge Patio. 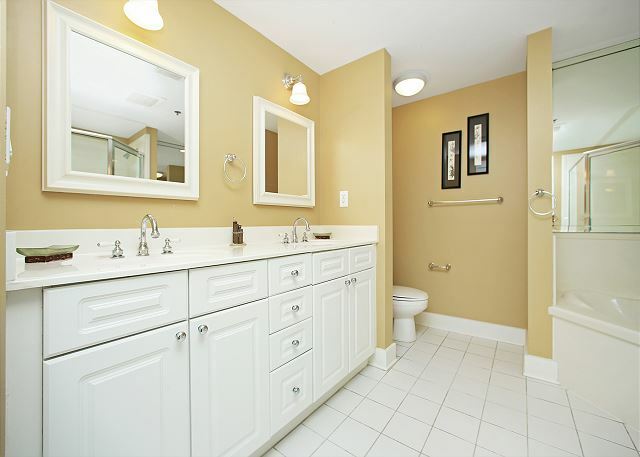 Both the Master Bedroom and the 2nd Bedroom have a large Private Bathroom with both tub and separate shower. 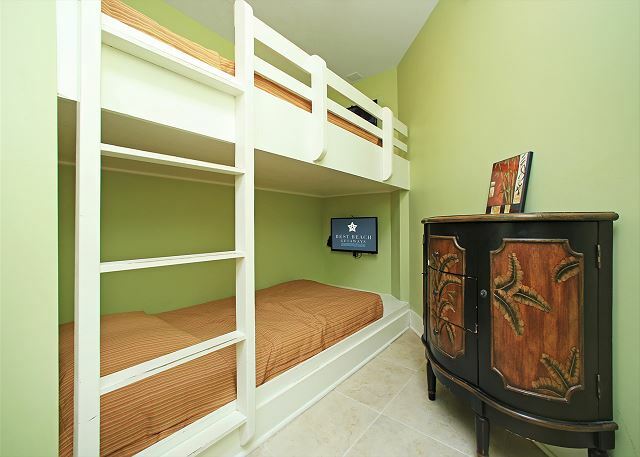 The condo also has a large Bunk Area for the kids. The kitchen is fully-equipped with beautiful cabinets and Stainless Steel appliances that complement the granite countertops and breakfast bar. • Beach service (March through October) Not all Waterscape units include it but we do! 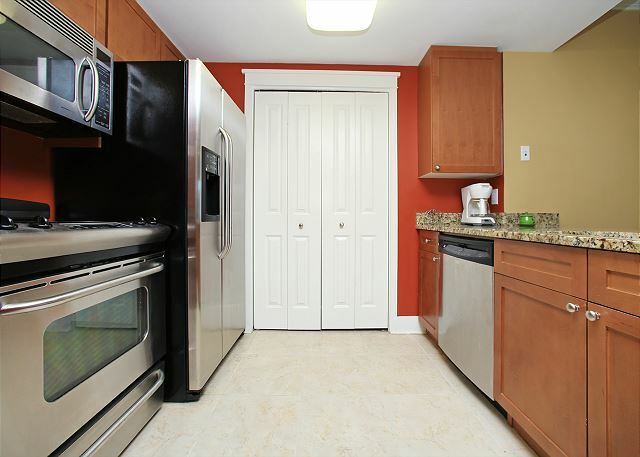 • Fully equipped Kitchen including blender, coffeemaker, toaster and more! Waterscape's location is ideal! 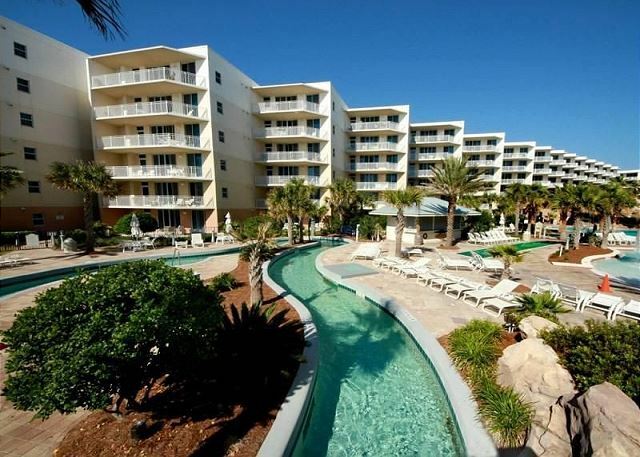 On Fort Walton Beach's scenic Okaloosa Island, you are only six miles from downtown Destin. There are several excellent restaurants within a walking distance. Tons of shopping, golf, fishing, and more world-class restaurants are close by. 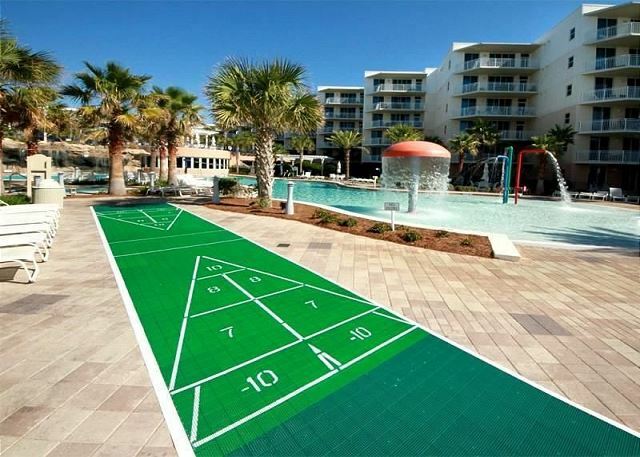 All will enjoy Big Kahuna Water Park, The Track Recreation Center, the Gulfarium, museums, miniature golf, and more. On the beach, you can go a little wild with nearby parasailing, jet skiing, and wind surfing, or just relax under the beach umbrella with a good book. Your dream vacation is just a click or phone call away.